AffiloTools crunches data from a range of premium sources to find out what's REALLY happening on your website. 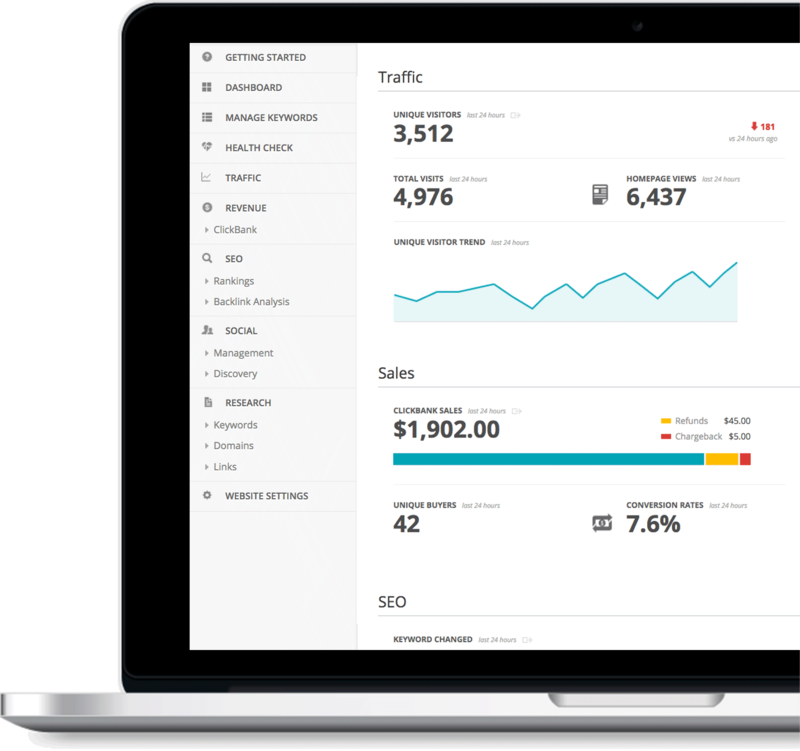 Search engines, social media, revenue... All your most important data, all in one place. Integrates with: ... and more coming soon! in greater depth and in more search engines, so you can see real results. AffiloTools gives you ALL the data, not just an array of averages, so you can see your precise movements in the search engines. Your rankings in the USA may be different from your rankings in Canada. 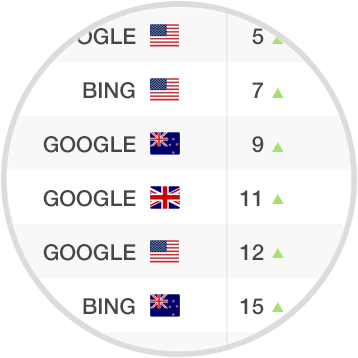 And your Google rankings can be very different from your Bing rankings. 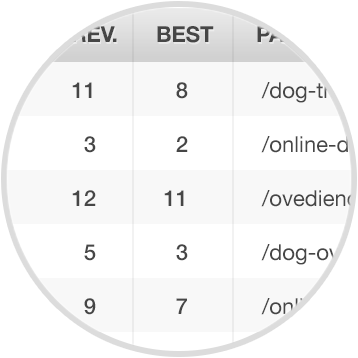 AffiloTools lets you view your rankings in different regions and search engines. beautiful graphs to show you the overall picture. 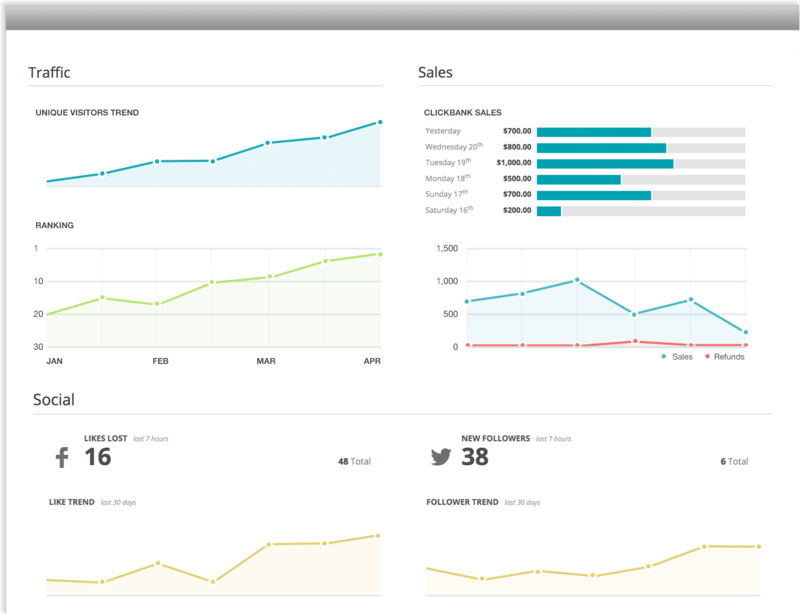 Graph your positions over time for as many keywords and search engines as you like. Watch this grow in each search engine, or quickly see when the number dips (which may indicate a bigger problem). How far are your social efforts reaching? Watch your popularity grow over time. Are your competitors gaining on you? 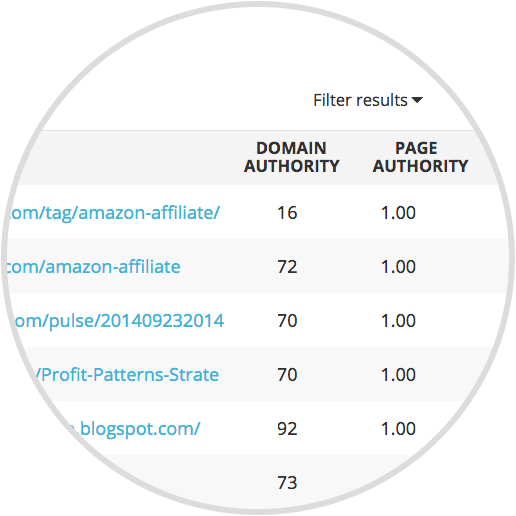 Keep an eye on other sites in your niche by turning AffiloTools on your competitors. Who is rapidly moving up the rankings? And how are they doing it? 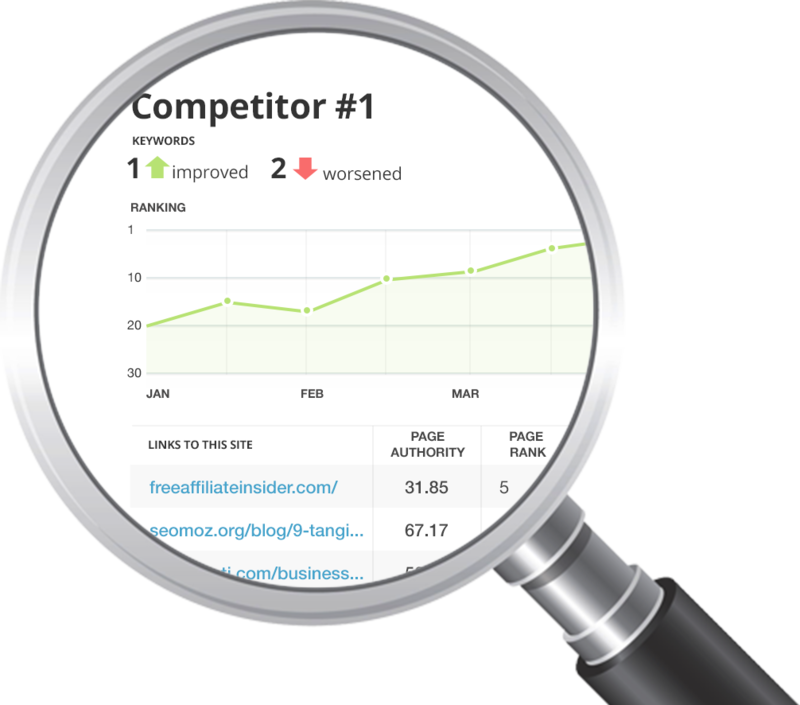 By tracking your competitors' rankings over time, you can identify your most serious rivals. Are your competitors actively building links? Should you be worried? 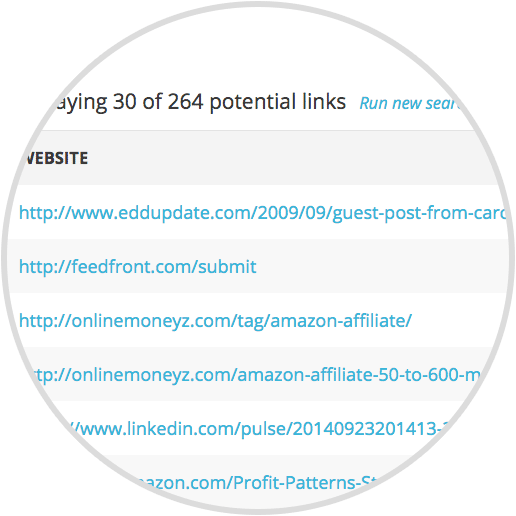 Run regular reports on your biggest competitors to spot new link developments. Use the Link Finder to find high quality sites in your niche with the best potential for building beneficial backlinks. 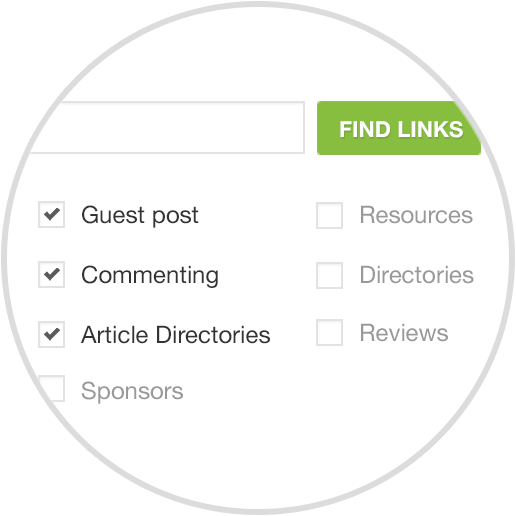 Choose the kinds of links you're interested in building: Guest posts, comments, directories, and more. AffiloTools' scours your niche for sites that look like they're receptive to building links. 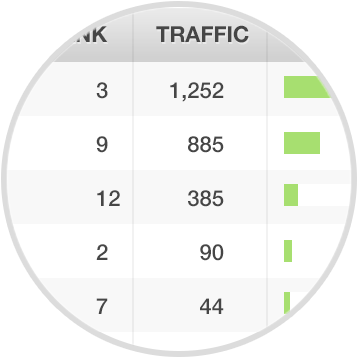 Compare vital stats to choose partners that will give your site the biggest boost. AffiloTools keeps a close eye on your website to spot any technical issues that might hurt your business. When you log into AffiloTools you'll be alerted to any problems. Is your website running slowly? Has it gone offline? Are there any issues with your SEO that could be hurting your rankings? It's the easiest way to make sure your site is performing its best. Everything is stored securely online so you can monitor your website from anywhere. Create your free AffiloTools account now! * AffiloTools is currently in beta. Please use the Feedback form to report any bugs.